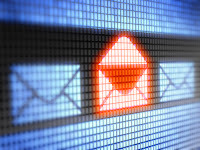 Consolidating emails from multiple eCommerce sources can be cumbersome. Even with ReplyManager's auto-organize features, navigating the nuances of different email providers such as Gmail or Hotmail can get tricky. Here are some quick tips to help make setup easier. Note: We recommend customers set up their account as an IMAP account instead of POP3 if possible. For IMAP accounts, we read all UNREAD messages in the INBOX folder of the account received in the last 2 days. For POP3 accounts, we read all messages in the INBOX, so if you have a large amount of messages it may take a very long time to read them all into our system. The following information is available from your service provider (Gmail, Hotmail, Yahoo, AOL, Go Daddy, etc). To add a new account, go to Maintenance > Accounts, Add New Account. Please see Google help area top enable IMAP access to your GMAIL account. POP3 will work, but we recommend enabling this account to be read as an IMAP. NOTE: Google recently updated its security features to help protect your email account from hackers. You may receive the error message: "Cannot authenticate to IMAP (or POP3) server: [ALERT] Web login required." If you experience this error, please refer to our previous blog, 2-Step Verification for further instructions. Username - Your Yahoo! Mail ID (your email address with or sometimes without the "@yahoo.com", and your Password, are required. The final step for setup is to check the box next to the mail account and click Test Accounts, you should see an "open successful" message. If not, an error message will display, informing you of a username/password error or a connection failure. Check your settings, make any corrections and retest. Some programs may require 2-Step Verification to allow ReplyManager to read from them.